This is a really major feature that we are super excited to release! Packages are designed to help increase your client sales as well as being a new way for you to offer discounts and offers. The packages feature means that you can now add multiple products into a package which is then offered to buyers at a reduced rate or as a special offer. Running a special offer within a certain timeframe e.g. “buy before midnight and get 50% off”. Or to group similar items together in a special package deal to encourage bulk purchases e.g. “buy now for £75 and receive products worth up to £150”. 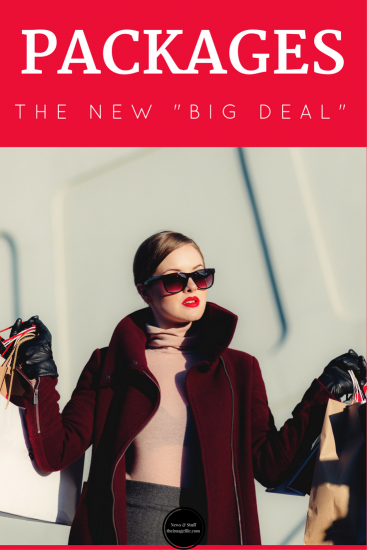 These methods make clients feel like they are getting a special deal from your business (a win for them) as well as enticing and encouraging them to spend more and to buy NOW (a win for you)! They are incredibly easy to set up (we’re talking literally a few minutes!). You can include sale items in packages that you don’t sell out of the package, making certain products even more special. You can use any package as a trigger item for further discounts to encourage even more sales.